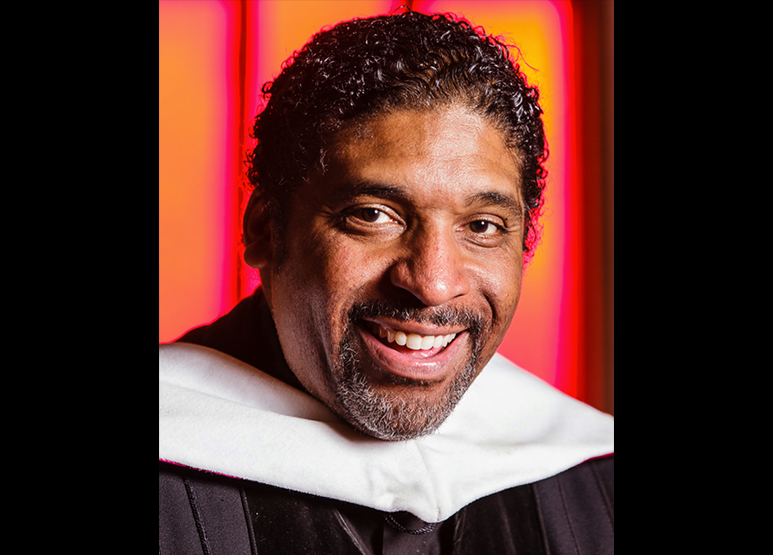 Reverend Dr. William J. Barber, II is a pastor and social justice advocate building a broad-based grassroots movement, grounded in the moral tenets of faith-based communities and the constitution, to confront systemic racism, poverty, environmental devastation, the war economy and the distorted moral narrtitive of religious nationalism in America today. As pastor of Greenleaf Christian Church in Goldsboro, North Carolina (since 1993) and president of the North Carolina conference of the NAACP (2005–2017), Barber approaches social justice through the lens of the ethical and moral treatment of people as laid out in the Christian Bible, the Reconstruction and Civil Rights Movements of the South, and the United States Constitution. He is effective at building unusually inclusive fusion coalitions that are multiracial and interfaith, reaching across race, gender, age, and class lines, and dedicated to addressing poverty, inequality, and systemic racism. When his work to expand voting rights, health care, living wages, immigrant rights, public education and LGBTQ rights was thwarted by extremist state lawmakers in North Carolina, Barber began a series of “Moral Monday” rallies outside of the statehouse in Raleigh to protest laws that suppressed voter turnout, cut funding for public education and healthcare, and further disenfranchised poor white, black, First Nations, and LGBTQ communities. The Moral Mondays rallies and associated nonviolent acts of civil disobedience grew to involve tens of thousands of participants across North Carolina and spread to states across the South. The movement waged successful legal challenges to voter suppression and racial gerrymandering, winning twice at the Supreme Court. Barber founded Repairers of the Breach, a leadership development organization, in 2014 to expand and build a national movement rooted in moral analysis, moral articulation, and moral action. In 2016, he led a moral revival tour that covered 26 states and attracted thousands. In 2017, he and colleagues launched a revival of the 1968 Poor People’s Campaign that was spearheaded by Dr. Martin Luther King, Jr. and many others. Beginning with an audit of systemic racism, poverty, ecological devastation, and the war economy in the United States since 1968, the campaign has been recast for the twenty-first century, building state and local, non-partisan fusing movements committed to shifting the moral narrative, building power, and challenging laws and policies that hurt the poor and threaten our democracy. In 2018, the Poor People’s Campaign launched 40 days of moral, nonviolent civil disobedience in 40 states and Washington, D.C., resulting in over 5,000 acts of simultaneous civil disobedience in 36 state capitols and the U.S. Capitol. Merging moral and activist traditions, Barber is providing a faith-based framework for action that strengthens civic engagement and inspires the country to imagine a more humane society.